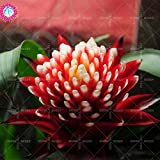 Guzmania growing succulent leaf plant of the genus Guzmania, Guzmania perennial evergreen but can be grown as annual used as ornamental plant, can grow in tropic, mediterranean or subtropics climate or as houseplant and growing in hardiness zone 10b+. Leaves color green the leaves grow in rosette structure in elliptic and sharp in the edge. 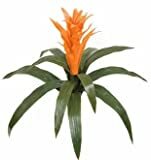 Flower color is white or yellow and small grow in clusters. 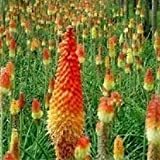 Bracts color can be: red, pink, yellow, orange, light green or white, bracts leaves that looks like the flowers and grow next to the flower.